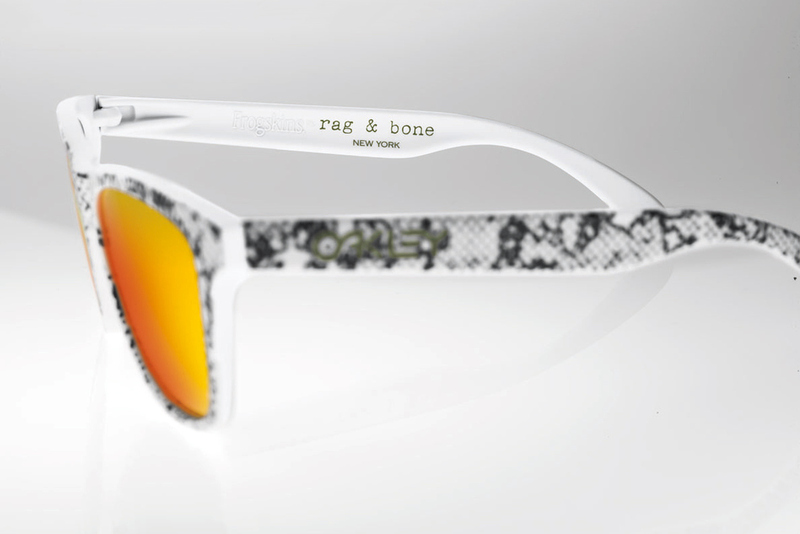 A long time in-house favourite at Blender Agency, the Frogskins model from Oakley, gets even more relevant this summer. A collaboration with rag & bone on two unique colourways was released on the 10th of July, in limited numbers. Unfortuneately they will not be sold in Scandinavia, so you will need to hit up a rag & bone retail store if you are going to the US, or drop by rag-bone.com. Be quick, the rumour is that each colourway is produced in only 150 pcs. This collaboration will be in good company with previous Frogskins versions from Supreme, fragment design, Beams, BKRW, among others.